If you doubt that large social change can be effected by individuals taking small steps, treat yourself to a look back exactly 50 years ago to the U.S. Civil Rights movement. 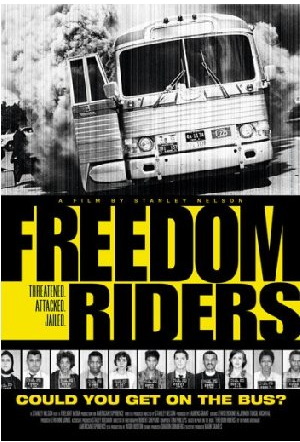 The 1961 Freedom Rides mostly took place in May and early June of 1961, starting with the CORE Freedom Ride. More than 400 Americans risked their lives to challenge segregated travel facilities in the Deep South, crossing state lines (thus involving Federal jurisdiction) in interstate buses. They were there to test Jim Crow laws and do nothing less than to move America. The riders were met by savage mob beatings, unprotected by local law enforcement, and most were imprisoned in brutal conditions. 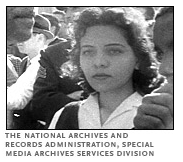 The key players included not only veteran members of the civil rights establishment but also students, with now Congressman John Lewis (D-Georgia) notable among them. To further commemorate the 50th anniversary of the breathtaking courage of these early civil rights heroes, PBS has set up a terrific website that includes film clips, histories of that era, a space for sharing stories among Freedom Riders, a teacher’s guide, an interactive map of the various rides, biographies of some of the key participants and a timeline of events. The website also includes comments from the public, including recollections from participants in the events and their families or friends. Also a related traveling exhibit is visiting 20 US cities in 2011. Between now and late November, 2011, the exhibit will visit West Palm Beach, FL; Austin, TX; Raleigh, NC; Salt Lake City, UT; Lawrence, KS; San Francisco, CA; Tempe, AZ; Birmingham, AL; Seattle, WA; Detroit, MI; and Denver, CO.
Diane, although a significant figure in the Civil Rights Movement, is only infrequently mentioned in the media, as compared to her male counterparts. She lives in Chicago and lectures on social change. Most exciting, as an accompaniment to the TV airing, a group of 40 select college students is currently retracing the route of the 1961 buses, May 6-17, 2011. The ride began in Washington, DC and will end in Jackson, Mississippi. You can follow the journey, day by day; read the biographies of each of the participating students; learn about the many speakers who will meet the students; and interact with them online. To learn more about that critical period of American history, a much larger event occurred in 1964, when over 1,000 college students joined with many thousands of local African Americans in Freedom Summer (otherwise known as the Mississippi Summer Project). This journey into the Deep South was intended to register African American adults to vote and teach the children. That was the summer when James Chaney, Andrew Goodman and Mickey Schwerner were killed. (“Mississippi Burning” was a wildly inaccurate Hollywood film, loosely based on this episode.) 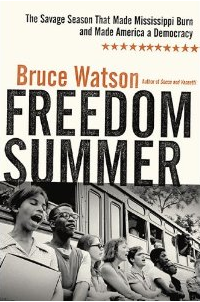 An excellent book with a good bibliography, Freedom Summer: The Savage Season that made Mississippi Burn and Made America a Democracy, by Bruce Watson, is reviewed here. Community psychology trivia: Andrew Goodman’s mother, Carolyn Goodman, was (until her death in 2007 at the age of 91) a Fellow of SCRA. (Read more about Andrew and Carolyn Goodman here). A psychologist, she was a lifetime civic activist around racial justice, and other progressive, issues. Thank you for writing about this topic. I will be sure to watch this film and talk about it among my peers.